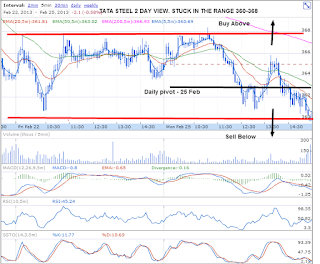 I had given my views here on Tata Steel, the stock was stuck today in the exact range which I wrote in my pre-market calls. By now you would know how to trade, 368 is resistance and 360 is support. Selling at resistance and buying at support for risky traders. For conservative traders, the strategy could be to buy a breakout above 368 or sell below 360. Please read all previous posts on Tata Steel to understand the stock behavior well and trade. If I look at the intraday volumes, the volumes were up at the time of close and stock bounced from 360. 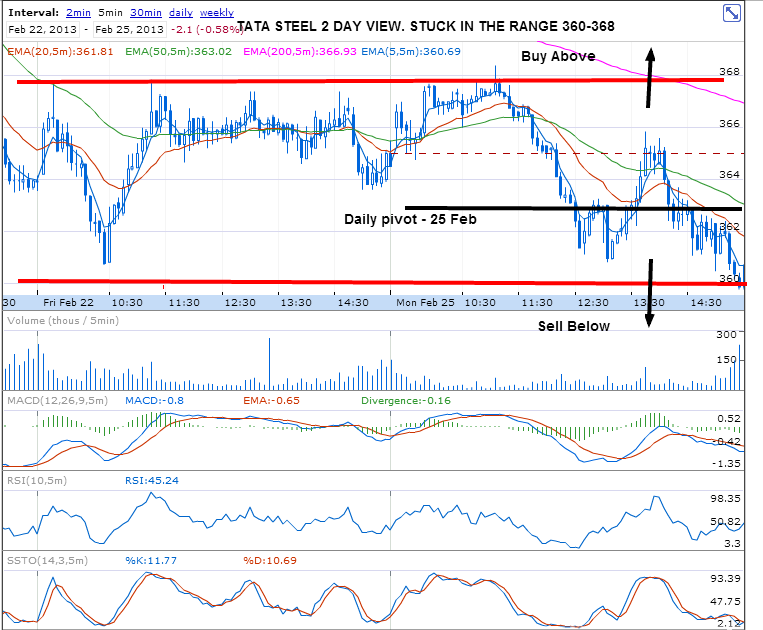 Tomorrow, Tata Steel is positive between 364, will give good upmove above 368. Below 364 negative and crossing 360 with volumes is a sell.